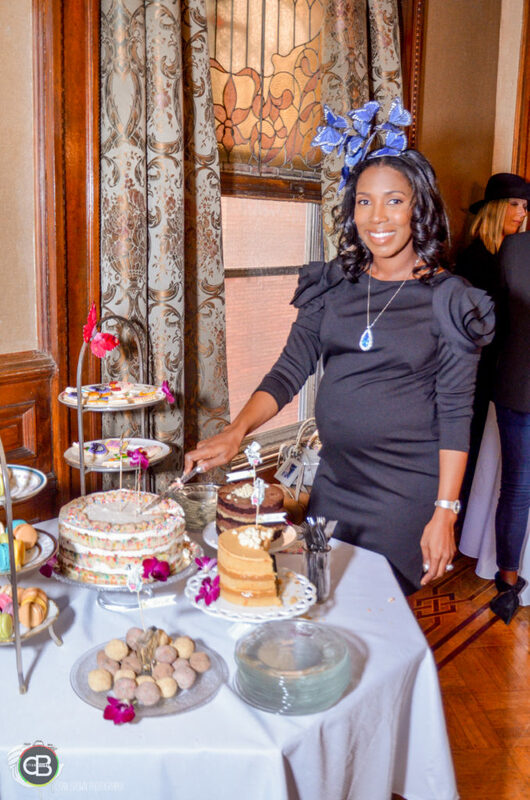 Co-Ed Baby Showers have become pretty common, but it can be difficult to find a theme that’s fun for both the guys and the girls. A “Mad Hatter Tea Party” is perfect for co-ed showers because the story really is an acid trip adult fairy tale isn’t it? 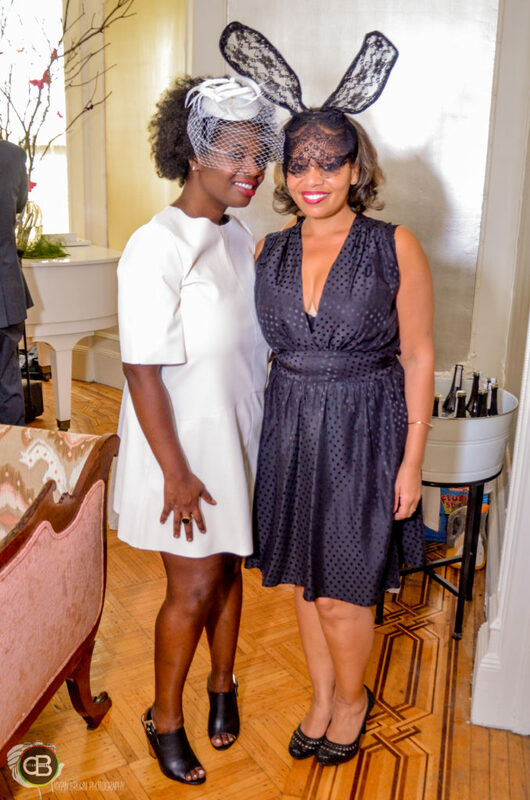 Last year I co-hosted a shower for a dear friend using this theme, it was really fun to create and everyone had a blast. I and wanted to share with you how I went about putting it all together in case you want to do the same, so keep reading and feel free to email me with any questions! Every great party starts with a great plan, so begin by getting a guest list from the expectant couple, but ask them how many people they think will actually attend…we all over invite as to not exclude that aunt who lives far away and will never make it. If you have space, host the event at you’re place, or in someone’s home that is close to the couple. If not find a venue that is cozy and feels like home. Its adds to personalize the event. It can me much less expensive even with catering. Often, family will come in from out of town, this way there is no hard end time and people can linger and spend more time together. You will have more time to set up decorations in advance. You can be as loud as you like. Once you have a realistic idea of how many will be coming you can start to put a monetary number per person, and then you can decide what areas the most money will need to be spent. Think about what would make the day extra special for the parents to be.… are they foodies? Into music? great flowers? Cocktails? If you know that any friends of the couple are a photographer, musician, chef, baker or whatever…reach out and ask them if they would like to contribute their services to the event either at a discounted rate or as their gift to the couple. The food is biggest chunk of the budget so I like to start there. 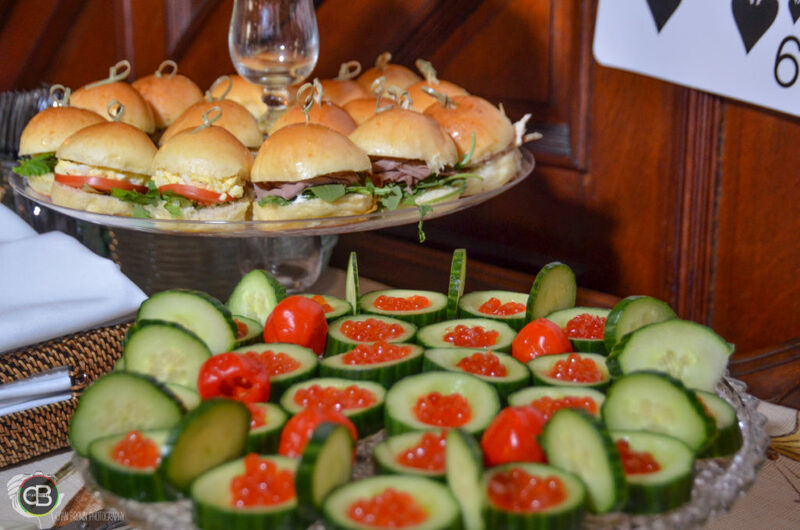 A catered buffet style Brunch is a great way to save money, or a “high tea” is another way to go…and it’s super trendy right now. I find that people prefer to move around and mingle instead of sitting at one big table, so rent some high tops or create small gathering areas spread out around the space. 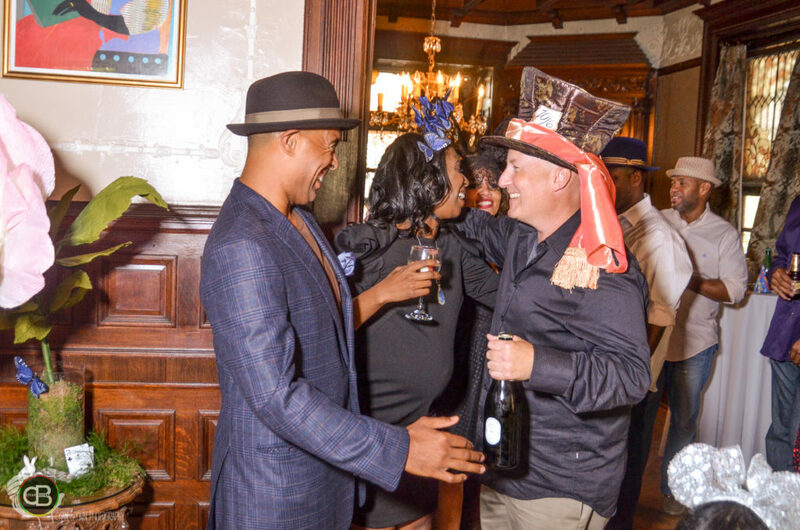 This way guests will get a chance to talk to everyone at the party, not just the person sitting next to them… so keep it casual…it’s more fun for everyone. Brunch is also great because if you want to serve alcohol nobody will expect a full bar mid- day. 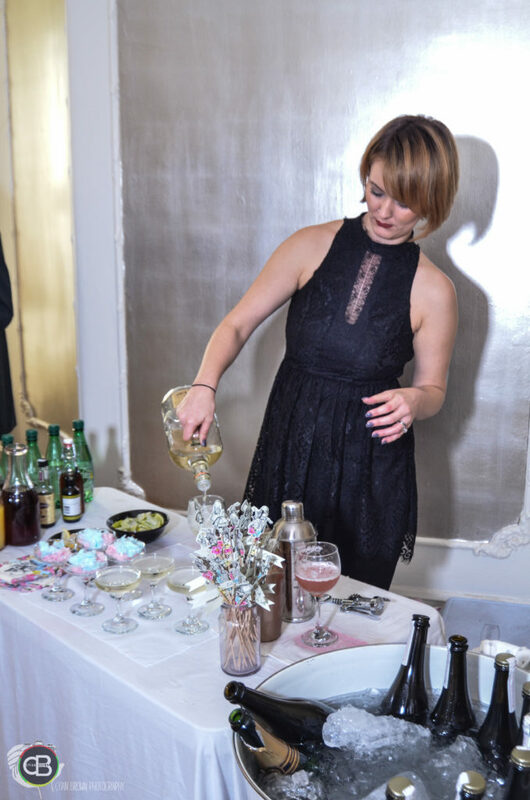 Prosecco cocktails or wine and beer are appropriate and more affordable. 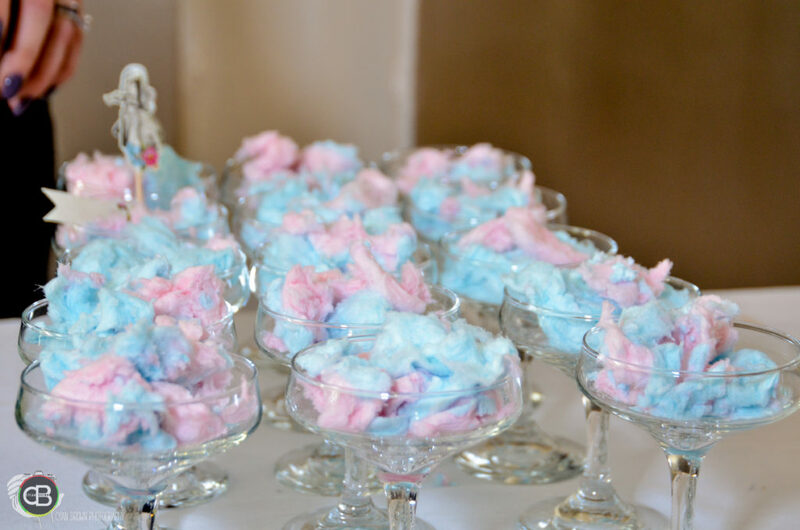 If you have a boozy crowd and want to do a signature cocktail go for it…we did cotton candy martinis and they were a hit. Once you have the food and drink taken care of it’s on to my favorite part which is designing the invites and the decorations! I like to set the tone of any party with the design of the invite…especially if there is a theme. Even though this was a baby shower the mom to be still wanted it o feel more like a party and didn’t want anything too childish, so we went with a simple tea cup design. There is always the question do I have to print and mail the invites? can’t I just use Evite? If it was a wedding I would say without a doubt mailed invitations are the way to go, but… I think the rules around other events like baby showers, save the dates and even engagement parties are more relaxed. If you want to do paper…by all means do so, but you can save yourself a lot of money if you don’t, and that money could be spent on other areas of the event. Personally, I really like Paperless Post, the cards are free to send but if you do want something a little more unusual they have designs from Kelly Werstler, Kate Spade and some other great designers…these you may have to pay a little for, but certainly not what you would if they were mailed. Paperless post or any online invitation site is also great because it helps to easily keep track of the guest list and you can send out any updates to guest easily if needed. For any Baby shower wording the invite in the form of a nursery rhyme is fun…and in this case it really fits the theme. Robert and Sara have spilled the tea…their family is growing to a party of 3! 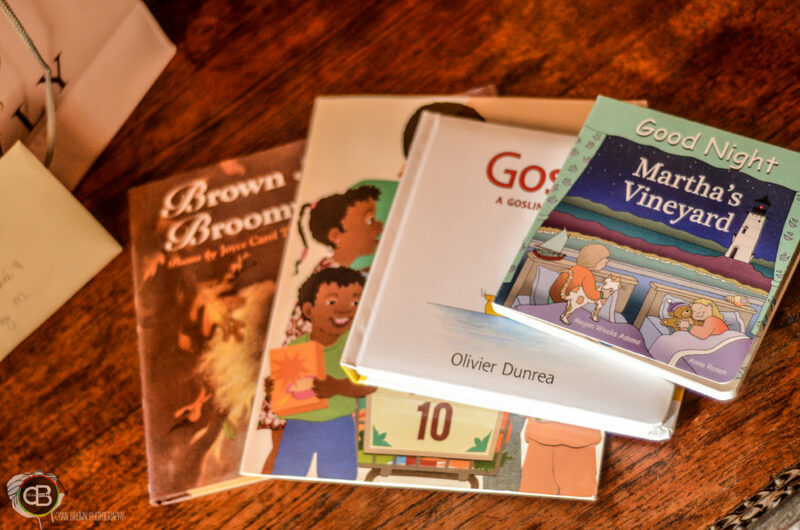 Children’s books are so much fun so in lieu of a card we ask that you bring one! 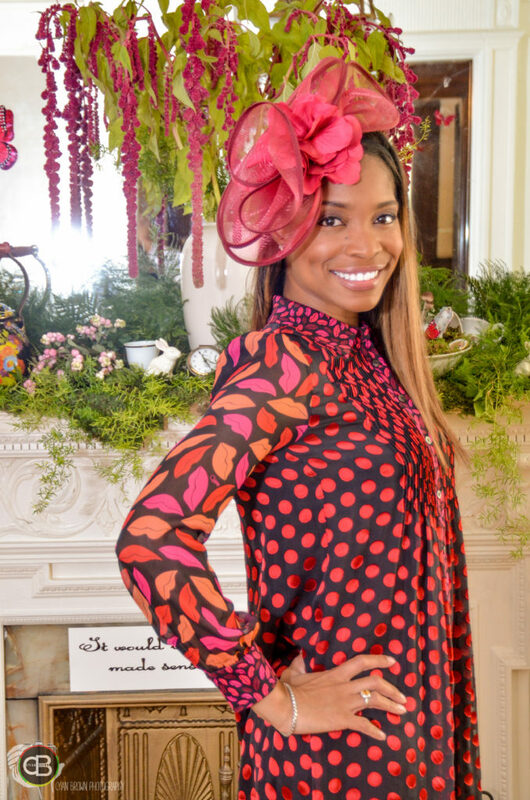 And here is one last word to the wise….the best hat or facinator takes home a surprise! Children’s Books are a nice way to start a library for the little one so, asking people to bring a book and write their well wishes in it instead of a card is a lasting memento from the day. 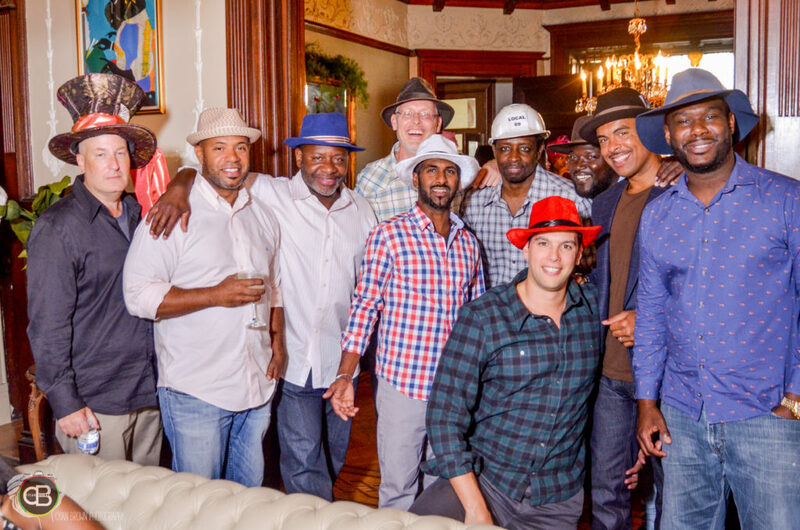 Asking Everyone to wear a hat or facinator is an easy shower game that both everyone can easily participate in. Let the expectant mom choose whose she likes the best as the winner and have a prize for winner….a bottle of wine is nice. Now… on to the DECORATIONS! 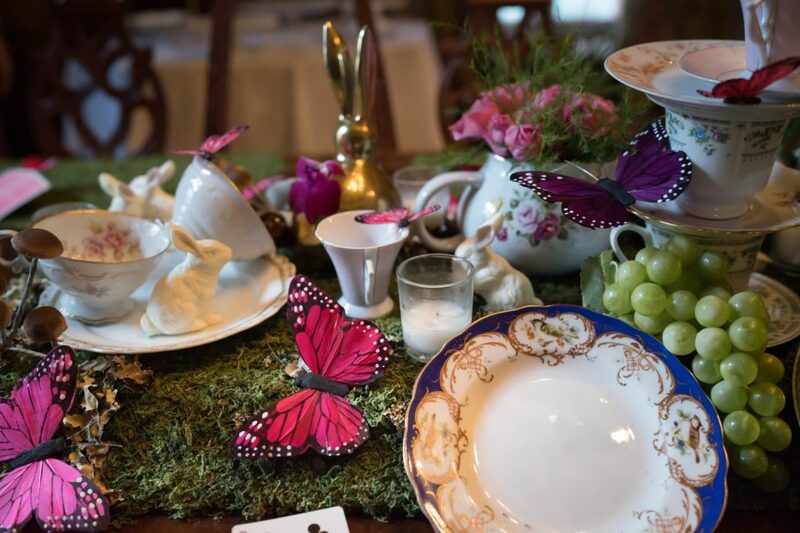 I always like to look around on Pinterest to get the creative juices flowing, and for this party I watched the Alice in Wonderland movie to refresh my memory. I decided it would be fun to create a very lush indoor forest with all of the animals and quirky things you may find there. 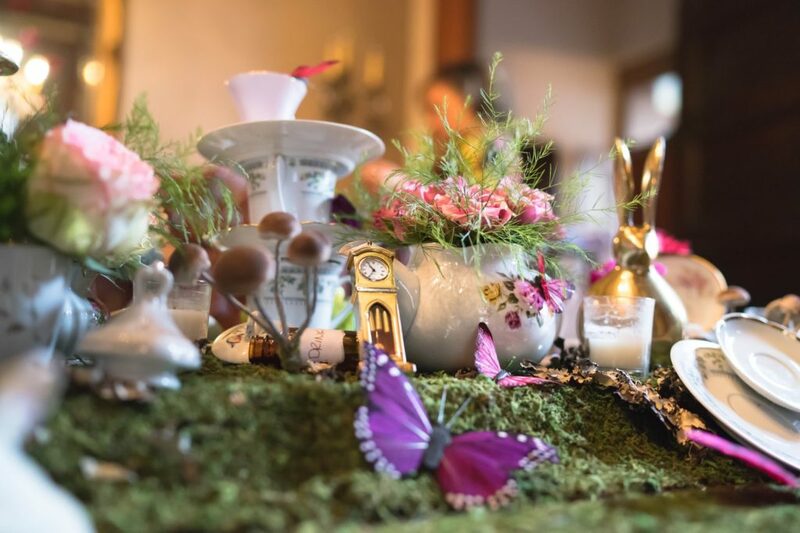 Since this theme is all about an ethereal almost trippy vibe, mis-matched china, vintage tea pots and tea cups, butterflies, over- sized playing cards, all strewn about in a fun messy but sophisticated way was exactly what was needed to create the desired look. After looking at all the places in the house that I wanted to have decorations, I decided the main focal point would be a table runner down the dining room table, where the base would be made from preserved moss, and the strewn about tea cups, plates and other items would be running down the center. This incredible home also has 3 fireplaces, so each of them would need to have a decked- out mantle with greenery and other accessories. 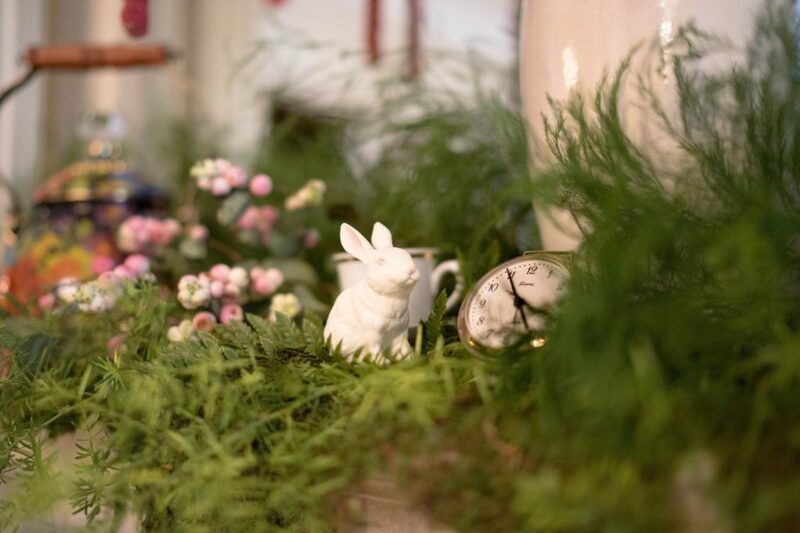 I started by combing through thrift stores, for the china pieces, vintage miniature clocks, and any other odd things that could be used to execute the design. One of my favorite stores in Brooklyn is called Junk (the name tells you exactly what you will find there) here I found some awesome stuff and tons of mis- matched china for cheap. Over several trips I collected all of the items needed for the centerpiece and the mantles. 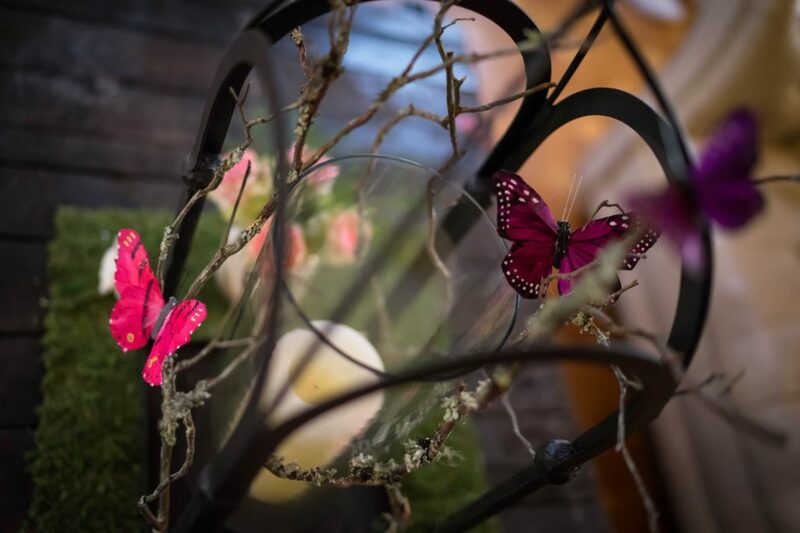 For the preserved moss, faux silk butterflies, miniature rabbits, faux grapes, oversized paper flowers and other fun stuff to use for the décor I went to Jamali Garden in the flower district of Manhattan. For the over-sized playing cards, and nursery rhyme quotes for the staircases and mantles, and any other themed stuff I shopped on Amazon. A few weeks before the shower I started putting everything together (except the fresh greenery used for the mantles) and began with the table runner. This is where you let your imagination run wild… and a hot glue gun becomes your best friend. 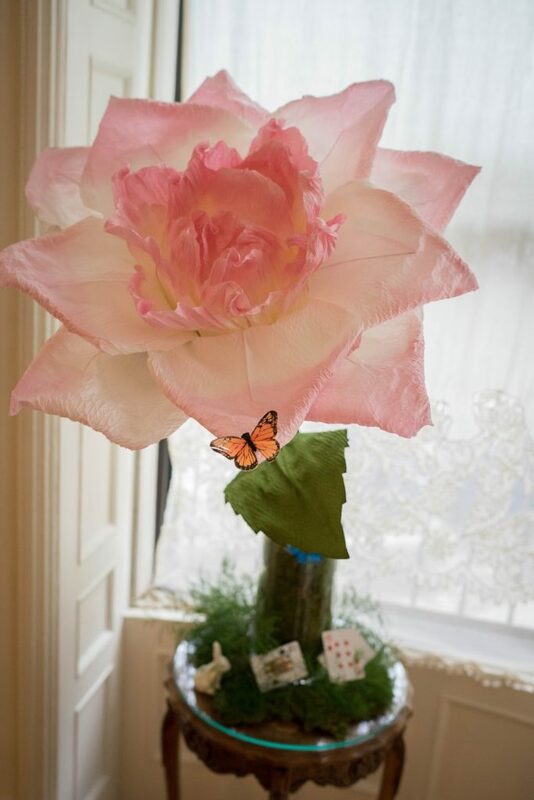 I used it to glue small plates to tea cups so they would be on an angle, or even the ones I stacked high…and it came in handy to glue the butterflies to pretty much everything! 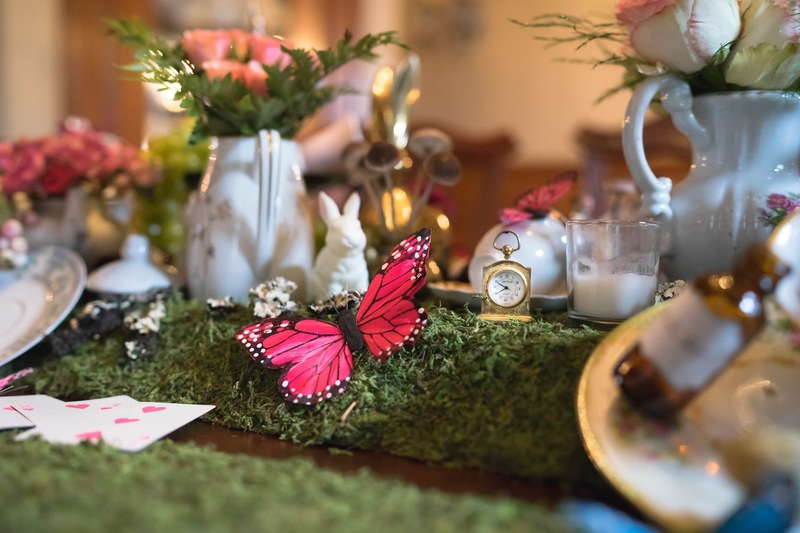 I laid out the items the I wanted to run down the middle of the table first like a few tea cups falling over, a tea pot, and some plates, and then built on that by adding in the bunnies, clocks, butterflies etc. until it started to feel like I really was at the party in the book or the movie. I then repeated the same process on each of the fireplace mantles in the house. 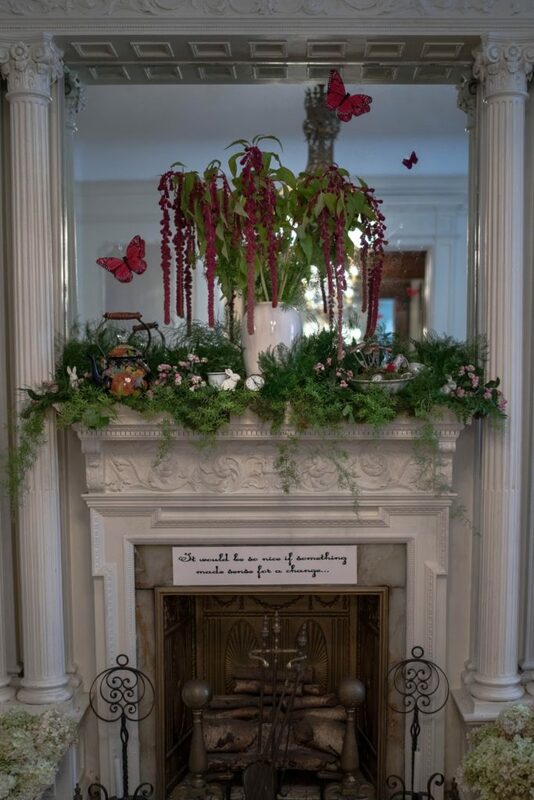 The day before the party I took a trip to the flower market and bought inexpensive greenery to fill in the mantles and make them look lush. I wanted them to feel like they were dripping in fresh foliage so I bought things that were wispy and hanging so if felt super lush. When I started I wasn’t sure at all what it was going to look like in the end, but this theme was so much fun because you can really let your inner child run wild and create an environment that will take everyone at the party back to their childhood. Over the top is what this theme is all about so layer it all on thick and have fun with it. 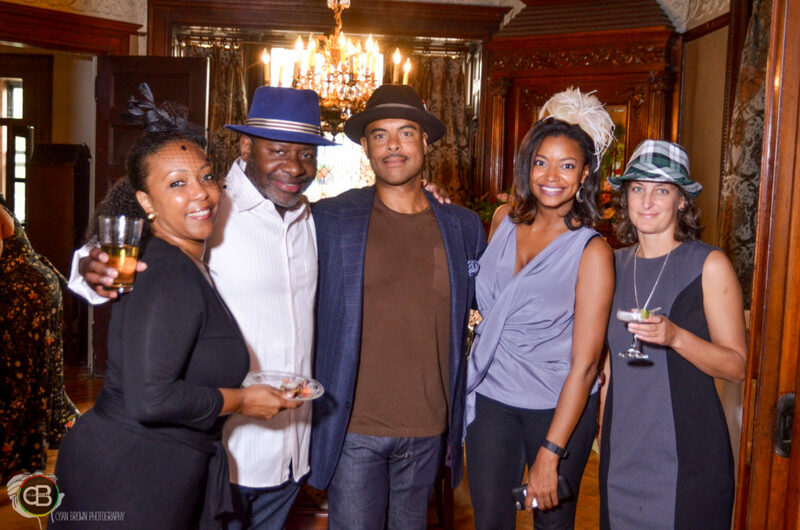 All of the guests really got into the theme and came out looking sharp in hats and fascinators! 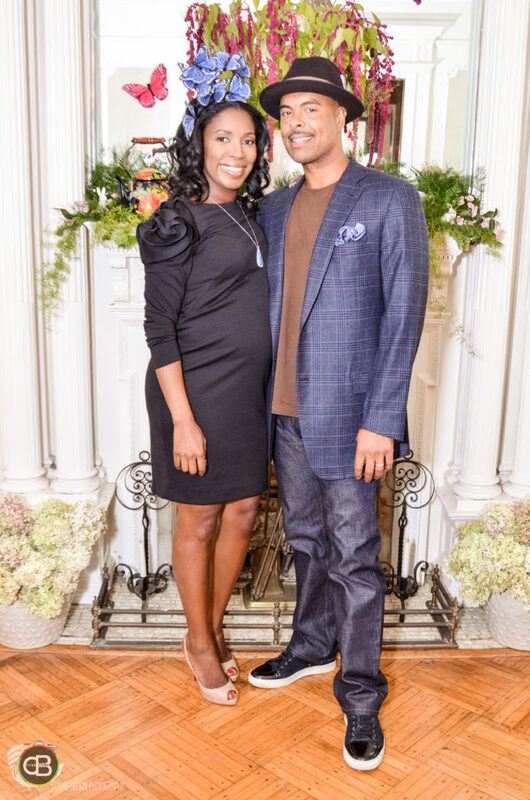 The parents to be could not have looked cuter or been happier, and the party was a huge success!